CEO is seeking a Promise Corps College & Career Site Supervisor for program planning and implementation at two-three schools in West Philadelphia. They provide day-to-day leadership of their schools’ AmeriCorps members (CCA’s), program implementation and school relations. They provide information and recommendations to staff in regard to the supervision of corps members. They maintain strong working relationships with principals, counselors and other school staff. Duties include direct management of 10+ people, administrative support, program planning, program support, data management and maintaining evaluation records. This person would also be responsible for the external communications of Promise Corps including all social media accounts, websites, printed materials, recruitment advertising and branding. This position reports to the Promise Corps Program Director. Coordinate college readiness programs and activities in collaboration with other higher education and community initiatives. Recruit local applicants for AmeriCorps member positions. Provide supervision, leadership, motivation, team building, conflict resolution and support to AmeriCorps members. Establish positive relationship and effective communication with school leadership team including principals, school counselor and teachers to ensure program goals are achieved and students are receiving all benefits of Promise Corps program. Establish relationships with external partners as needed to resource schools, students and Promise Corps and to collaborate on large events. Gather and maintain evaluation records pertaining to program performance, particularly in regard to impact on high school students. Ensure the submission of all required information from the site to appropriate program staff as needed for member’s files. Utilize online timesheet and data collection portal to collect all information needed to measure programs performance measures. Familiar with and proven successful use of social media platforms. Bachelor’s Degree required and one year of experience in an education setting or experience working directly with youth in Urban Communities. A valid PA Driver’s license is required. Knowledge of college and career preparation, objectives and standards. Managing a program and/or supervising people (preferably in a school setting). Curriculum development and implementation preferred. Working with service-learning, AmeriCorps programming, and member management preferred. Strong print and electronic communication skills. Be a successful, dynamic and committed individual. Capable of working beyond traditional working hours and keeping schedules is required. Successful candidate must be a City resident within six months of hire. As a Shared Prosperity Fellow, you will serve as an ambassador for the Office of Community Empowerment and Opportunity (CEO) and work alongside stakeholders from government, philanthropic agencies, academia, business and consumer communities, all in an effort to achieve a common understanding of the dynamics of poverty in Philadelphia and be an active participant in making change around complex issues. Shared Prosperity Fellowships are offered in CEO’s policy and operations department. The following fellowship positions are open for undergraduate students, graduate students, and recent graduates during the Summer 2018 and Fall 2018 (30 hours/week for Summer, 15-25 hours/week for Fall based on Fellow’s class schedule). Applications will be reviewed and offers will be extended on a rolling basis. The complete application with job descriptions is available here. Applications are due by Monday, April 16th, 2018. The Office of Community Empowerment and Opportunity (CEO) is seeking a Data Manager. 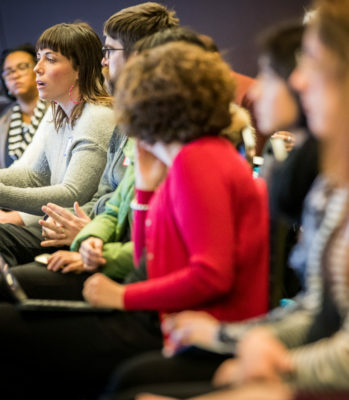 The Data Manager will be responsible for general oversight, reporting, training and user support to ensure the proper use CEO’s data management system (DMS) by CEO staff and sub-grantees. The Data Manager will ensure timely and accurate collection of participant data. The main focus of the role will be to provide technical and instructional support related to data management and reporting. The Data Manager will also help provide key technical expertise in the development and use of our DMS to measure and report on the progress of each of the funded initiatives and the goals of Shared Prosperity Philadelphia. This position reports to the Director of Planning and Evaluation and works very closely with the Director of Administration and the Director of Operations. There are no direct staff reports to this position. Key responsibilities include: management and administration of the DMS; development and implementation of database structures, relationship queries, and reporting dashboards; monitoring of data quality; supporting users by providing training and technical assistance; collection of data to support collective impact initiatives; analysis of data for agency-wide reporting. Please see this job description for additional information: here. The City of Philadelphia Office of Community Empowerment & Opportunity (CEO), in partnership with America Saves and the American Savings Education Counsel, will promote February 26 – March 3, 2018 as “America Saves Week.” When we go from a place of debt to a place of savings, our money stops working for others and begins working for us. Public support for saving is broad. 59% of Americans report that they enjoy saving over spending; however, 57% do not have enough cash to cover a $500 unexpected expense. While there are many reasons for this discrepancy and no single explanation can entirely reconcile it, low wages certainly explain a big part of the problem, particularly in Philadelphia. Philadelphia has a median household income of $41,233. The National Low-Income Housing Coalition estimates that the necessary annual income to afford a two-bedroom apartment in Philadelphia at fair market rent is $48,440. With over half of all households not earning enough to cover a need so basic as housing, individuals and families aren’t saving simply because they just can’t afford to. The result is often the high cost debt in the case of an emergency, putting low-income individuals even further from certain financial goals like higher education and home ownership. Throughout America Saves Week, CEO will be releasing tools and tips to help you make a savings habit. These tools will include incentives from America Saves for committing to save, information on saving for retirement and automatic savings, saving your tax refund, and information on how you can schedule an appointment with the counselors at one of our Financial Empowerment Centers. Since opening in early 2013, Philadelphia’s Financial Empowerment Centers have helped clients reduce debt by $13.8 million and increase savings $1.7 million. A report from Cities for Financial Empowerment Fund recently found that “[b]oth counselors and focus group participants reported that Financial Empowerment Center services gave them a ‘finances toolbox’—a variety of knowledge and skills that empowered them to navigate complex financial issues and solve financial problems.” Establishing a habit of saving money can be difficult, especially for those with incomes that are insufficient to meet basic needs, but with the right advice, the right amount of support, and a well-crafted plan, savings can be accessible. President Trump released his FY 2019 budget proposal last week, which included cuts to many programs affecting low-income families. His proposal included the elimination of the Community Services Block Grant (CSBG), Weatherization Assistance Program, and the Low Income Home Energy Assistance Program (LIHEAP). He is also proposing a significant change to the way SNAP benefits are administered. The magnitude to which these cuts would affect Philadelphia residents is astounding. Without the federal dollars that fund these essential programs, hundreds of thousands of Philadelphians would be adversely affected. Community Action Agencies, like the Office of Community Empowerment & Opportunity, share a common mission of fighting poverty. Full implementation of President Trump’s proposal would put Community Action Agencies at risk, potentially eliminating these agencies all together. 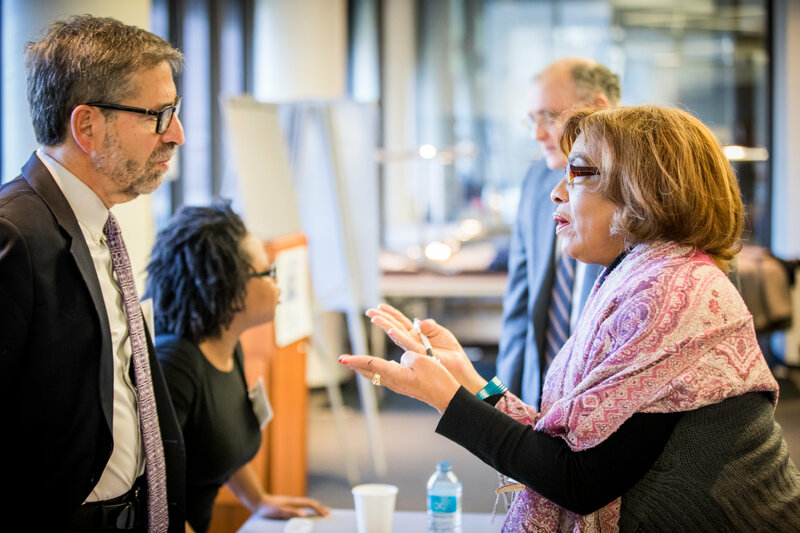 At the Office of Community Empowerment & Opportunity, we are committed to deepening our efforts and the work of other organizations that have shown a commitment to improving the quality of life for all Philadelphians. We are proud to stand with all of you today and everyday, demanding that this budget proposal be denied. Nearly 400,000 Philadelphia residents live in poverty, half in deep poverty . For the average Philadelphian household of three, poverty means sustaining a family on $1,700 a month pre-tax and deep poverty means impossibly doing so on $850 a month . Moving people out of poverty is perhaps the most critical issue facing Philadelphia today. 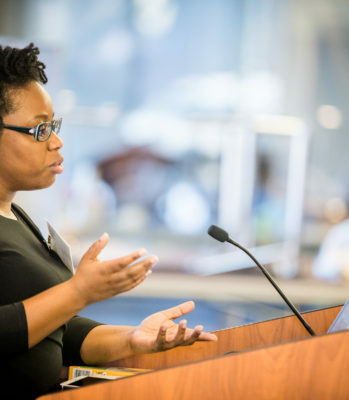 As the City of Philadelphia’s anti-poverty agency, the Office of Community Empowerment & Opportunity keeps a close eye on policy changes that could affect low-income residents. As such, we’re deeply concerned about the impact of the federal tax bill, the Tax Cuts and Jobs Act, signed into law on December 22. This bill will do many things – perhaps most significantly it will create a $1.5 trillion deficit to the economy over the next 10 years by giving enormous tax breaks to corporations (which have seen record profits in the past few years) and mandating that low- and moderate-income households pay for those handouts. This growing deficit leaves me wondering if our Congress is teeing up an argument to cut social welfare programs to pay for these future deficits. Based on projections by the Tax Policy Center, most households making less than $75,000 (three-quarters of households in Philadelphia) will see increases in the long-term under this new tax bill, with low-income families bearing the brunt. In 2027, when personal exemptions expire, a married couple making $30,000 with two children will have to shell out an additional $400 more than what they paid in 2017, which is significant. Despite the purported failures, an additional 20 million people in our nation became insured under the Affordable Care Act . In Philadelphia, Medicaid expansion allowed 166,000 low-income people gain coverage and fewer people avoided health care because of cost . However, in 2019 this tax bill will eliminate a main incentive to become insured – the individual mandate. Without the mandate, an estimated 13 million people will drop their coverage . By doing so, fewer residents will get the preventative care needed to avoid more costly procedures down the line and premiums will rise, further dis-incentivizing health care coverage. This is significant to people in poverty because there is strong evidence that health insurance, both private and public, actually lifts people out of poverty by reducing out-of-pocket medical spending. This is especially true for children. Philadelphia is often characterized as an affordable city – indeed, compared to our neighbors in New York City and Washington D.C., housing costs seem reasonable, especially for middle-income families. But for renters making less than $35,000, living in Philadelphia is, in real terms, unaffordable. An astounding 85% of these households spend more than 30% of their income on rent. The Low-Income Housing Tax Credit (LIHTC) is the major vehicle for developing affordable housing in the country, often praised for its ability to stimulate private investment without subjection to the fancy of congressional appropriations. 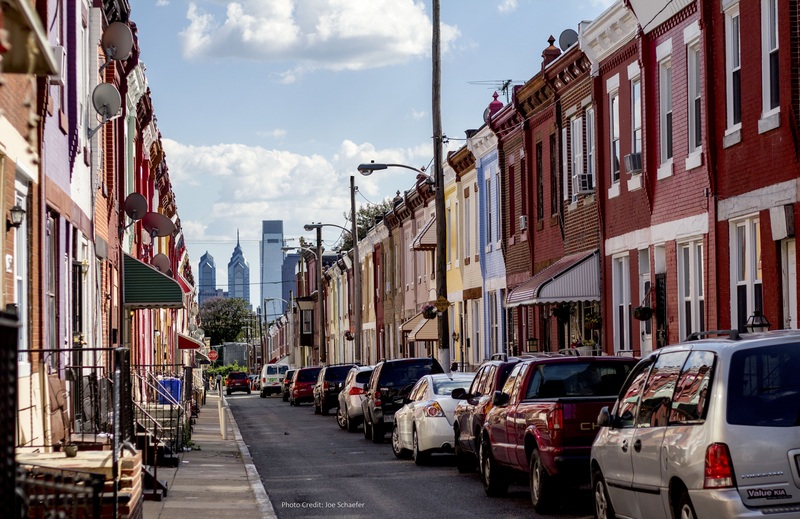 In Philadelphia alone, an estimated 24,650 residents live in units financed by LIHTC . The Tax Cuts and Jobs Act will have a devastating effect on the production of LIHTC-financed housing. By lowering the corporate tax rate from 35% to 21% (the lowest rate since 1939), banks and investors will have less tax liability and less desire to seek out tax credits like LIHTC, making the market for tax credits much less competitive. This will leave affordable housing developers with less investment on the dollar to finance their projects. The impact of the tax bill on low- and moderate-income individuals and families will be significant, but so will be the impact on our partners in the non-profit community that rely on charitable giving to stay afloat. Under H.R.1, the standard deduction will double, making individuals will be less likely to itemize their tax deductions, such as their yearly donations. The Tax Policy Center estimates that 21 million fewer taxpayers will itemize their charitable donations – a cut nearly in half . This is severe for the network of service providers and community-based organizations doing anti-poverty work that rely on donations to buffer their budgets. While the congressional fight for the tax bill may be over, the impacts have yet to set in, so a fight is still to be had. Now is the time to strategize in our personal lives and within our institutions. We must ask ourselves how we can be more engaged political citizens and continue to pressure our elected officials to stand up for the literal survival of our low-income neighbors; to underscore the point that it is exactly systems and policies like the Tax Cuts and Jobs Act that perpetuate poverty and lead to cuts in social supports down the line. Let us not forget this moment. Let us not allow our representatives to forget this moment either. 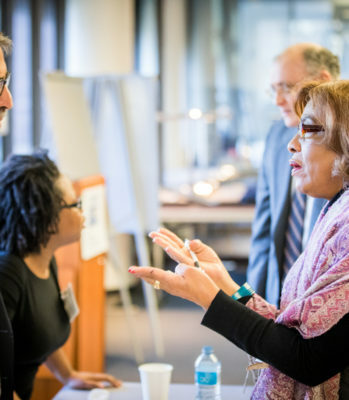 On the coldest morning of the season, attendees from diverse agencies, organizations, and professions gathered to discuss and engage with research on one of Philadelphia’s most pressing issues: poverty. Philadelphia has the highest poverty rate of the ten largest cities and ranks fifth among the poorest large cities in the nation. The poverty rate in the city has remained largely unchanged over the last decade: now at 25.7%. Director Larry Eichel and Officer Octavia Howell of The Pew Charitable Trust unpack these figures in their newest report, “Philadelphia’s Poor: Who they are, where they live, and how that has changed”. The Pew Report can be found here. Their research found that children, Hispanic residents, and African-American residents disproportionately experience poverty, each group having a poverty rate well above the city-wide average. Households in poverty are distinct in that they are more often headed by women, and are more likely to include children. Additionally, while most cities across the nation have seen a “suburbanization” of poverty, Philadelphia is seeing a concentration of poverty within city limits. Eichel and Howell speculate that this difference is related to the relatively low costs of public transportation and housing within the city, and the higher land-use regulation of surrounding suburban counties. During the Q&A that followed, attendees raised questions on the history and geography of poverty in the city. Others were more about the personal experiences of residents: What is life like for almost 400,000 persons experience poverty in our city? 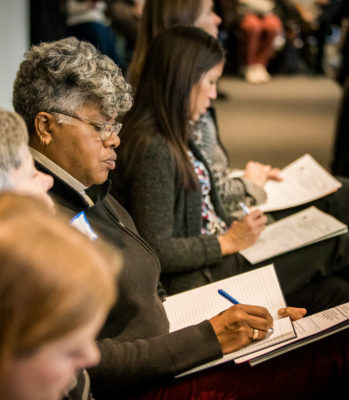 While Census data does not lend itself to an easy answer, attendees were eager to share their ideas and solutions to create change on the ground. What is one thing that you will take away from this Roundtable to enhance the work you do? How could future Roundtables be improved? Click here to access the Presentation from the Roundtable. 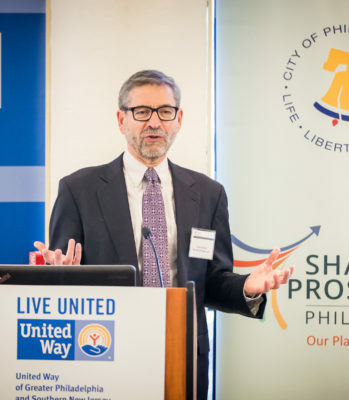 This roundtable will build upon a conversation started last month, where researchers from The Pew Charitable Trusts presented on their recent report Philadelphia’s Poor: Who they are, where they live, and how that has changed. 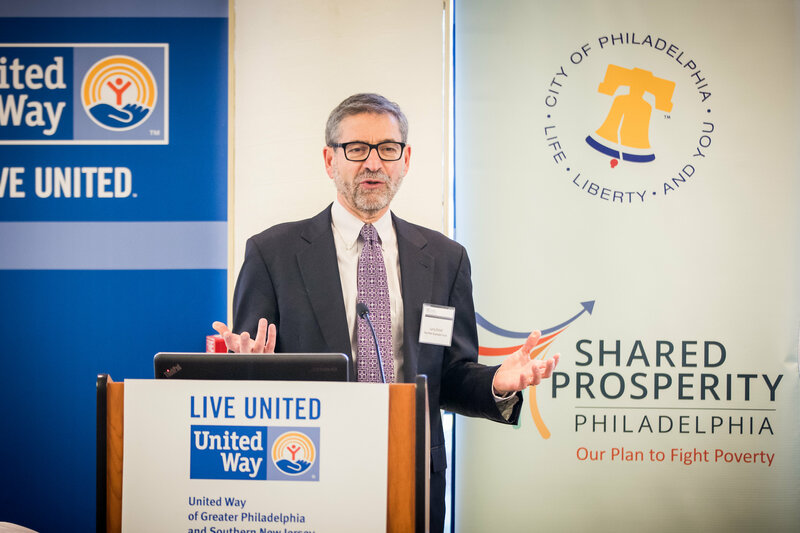 This report provided an intensive look into Census data to uncover demographic trends of poverty over the last four decades in Philadelphia. 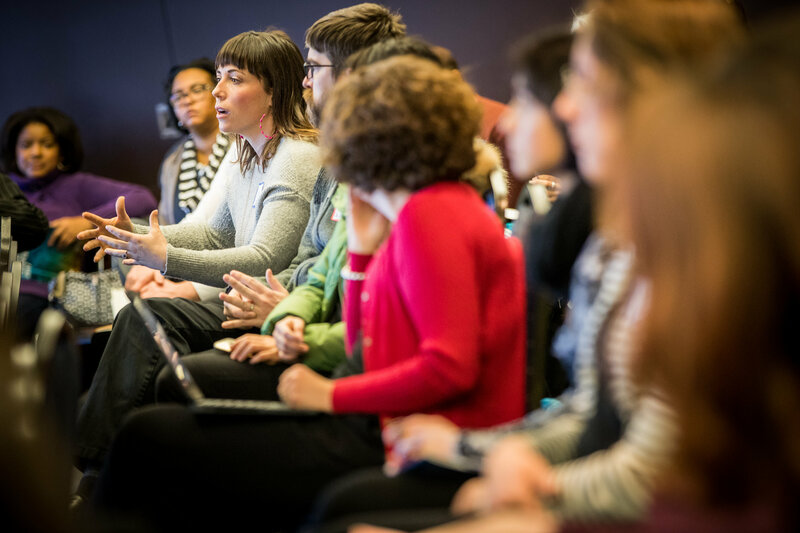 The January roundtable follows up on this conversation with historical and neighborhood-level context to answer – what were the driving forces behind the demographic shifts seen over the past few decades and leading to current patterns of poverty? 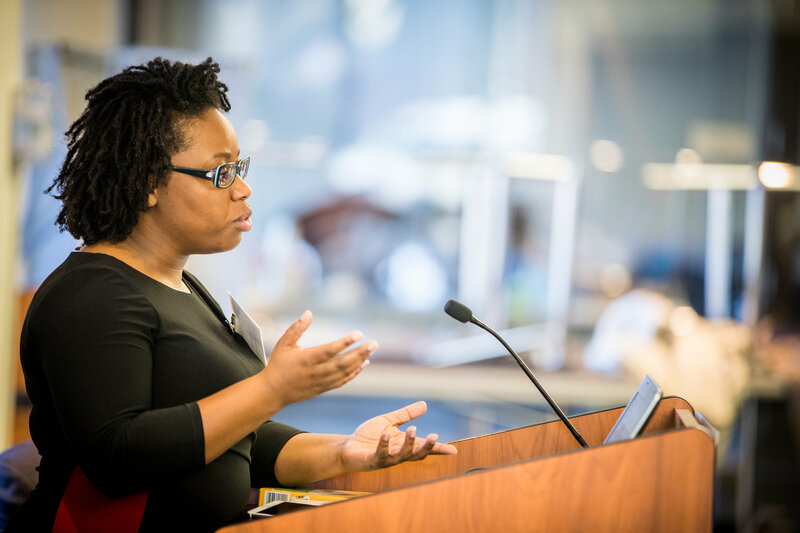 The roundtable will feature a panel discussion moderated by Dr. Carolyn Adams (Temple University), that will include diverse perspectives on poverty, race, ethnicity, and segregation in Philadelphia. 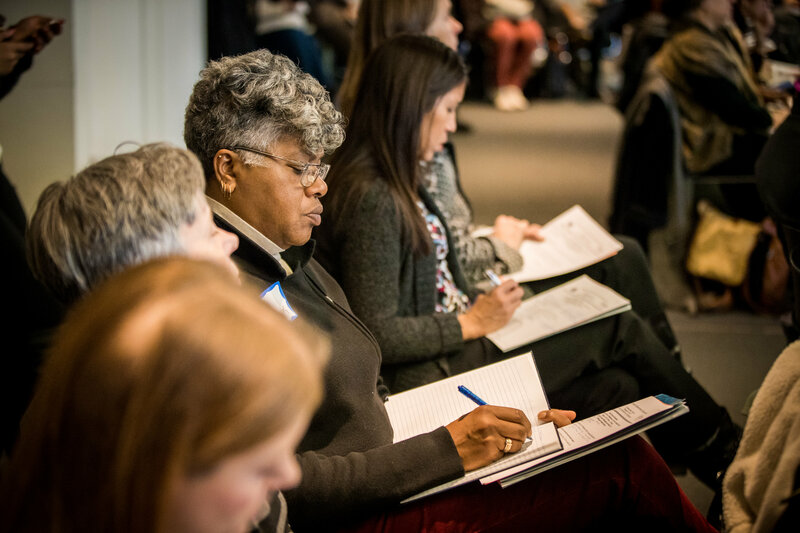 Audience members will also have an opportunity to engage with one another around this topic and discuss possible solutions to long term trends in poverty and inequity in Philadelphia. Today Mitchell Little, Executive Director of the Office of Community Empowerment and Opportunity (CEO) released the following statement on the passage of H.R. 1, the Tax Cuts and Jobs Act. On December 20, 2017, Congress passed a comprehensive tax reform bill. With a few exceptions, the provisions of H.R.1 are effective January 1, 2018 through December 31, 2025, at which point the rules revert back to current law. The effects of H.R.1 are sweeping and will significantly impact the taxation of corporations and individuals alike. CEO is encouraging our community to take advantage of the counselors at our Financial Empowerment Centers to see if these changes impact your income or expenses in a way that reduces your disposable income. We also recommend that you reach out to your Congressional Representative as well as a tax professional to learn more about the bill and the impact it will have on you and your family. Please make use of the below links to learn more about the implications of H.R.1.